etectives have been deployed in Port Harcourt, the Rivers State capital, in the ongoing probe of former Minister of Petroleum Resources Mrs. Diezani Alison-Madueke. Of interest are five choice houses believed to be Mrs. Alison-Madueke’s. It is all part of the last leg of the investigation of the ex-minister in collaboration with the National Crime Agency in the United Kingdom. Amid the Port Harcourt operation, another asset of the ex-Minister in Abuja, allegedly worth over N500million, has been confiscated pending her trial. The Economic and Financial Crimes Commission (EFCC) had earlier seized a mansion worth N3.58billion from the ex-minister, bringing the haul in Abuja to about N4.08billion of assets believed to be hers. The EFCC received intelligence report on the property allegedly acquired by Mrs. Alison-Madueke in Port Harcourt. The tracking of the assets is said to be part of the probe of about $10billion allegedly looted in cash and assets by some former public officers. A top source in EFCC, who spoke in confidence, said: “Based on latest intelligence, we have been able to trace more choice assets to Mrs. Alison-Madueke in Port Harcourt. We have drafted more operatives in Rivers State. “We have identified more than five of such assets but we need to verify the ownership by going through some documents before attaching the properties in line with our mandate. “In the next one week, our team in Port Harcourt would have completed their assignment. We will then release the value of the assets. Another property, which is believed to be worth N500million, has been seized from the ex-minister. The source said the property is believed to be at Frederick Chiluba Close in Asokoro District in Abuja. The asset is now placed under interim forfeiture until the court decides otherwise,” he added. The NCA in the UK arrested and quizzed Mrs. Alison-Madueke and four others on October 2, 2015 for alleged bribery and corruption and money laundering. 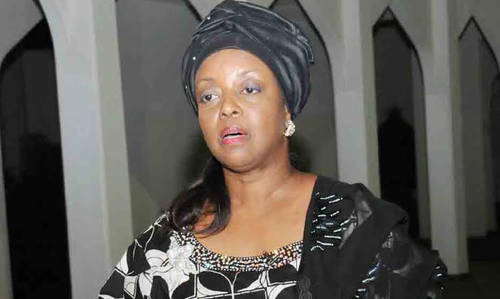 Also the EFCC has interrogated three to five more suspects since the interrogation of Mrs. Alison-Madueke by the NCA. The NCA last year obtained permission from a Westminster Magistrate’s Court to seize 27,000 pounds from Mrs. Alison-Madueke and two other women.